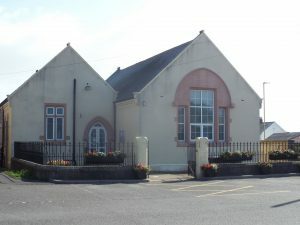 Silloth Community Hall is owned and run by Silloth Town Council. The Town Council want to create a place belonging to the community, where people and groups can meet, socialise and network, in a safe and friendly environment. The Hall provides a convenient and valuable location for a variety of groups, clubs, organisations to hold meetings and host varied events. The building itself has two rooms and a well-equipped kitchen. There are modern well appointed male and female toilets, as well as a disabled toilet which also has baby changing facilities. The Hall also houses the offices of the Town Clerk and is also the home of the Solway Woodcarving Group, who have their workshop within the building. The building is situated next to the Solway Coast Discovery Centre where you will find the Tourist Information Centre and Library. Also nearby is the Community Sports Hall, Silloth Primary School and Solway Community Technology College. Rooms are available for private hire to individuals, groups and businesses. Come and see the hall for yourself to fully appreciate all that it has to offer. All of our facilities are available to rent on a “one off” or regular basis, so please use our contact details to get in touch detailing your requirements and we will be happy to assist with your room hire needs. For more information please check out the Silloth Community Hall website.